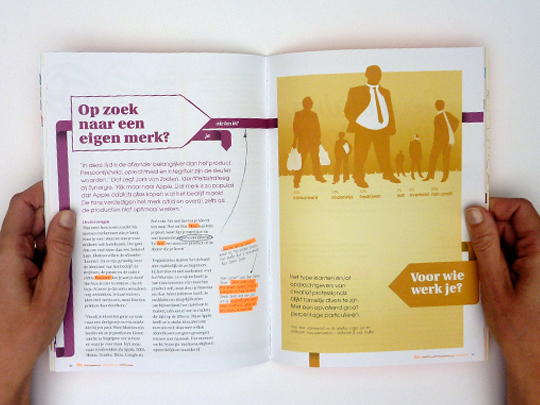 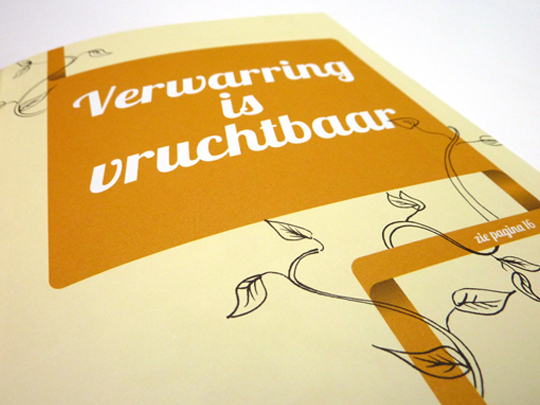 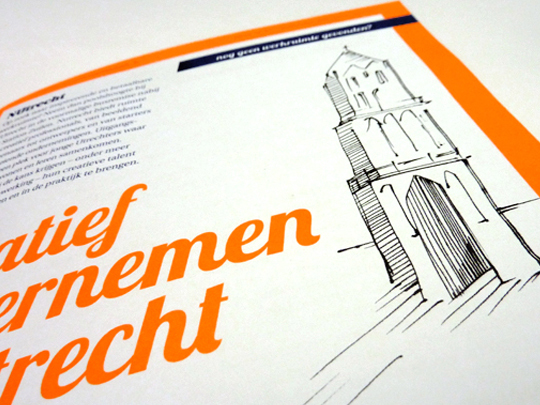 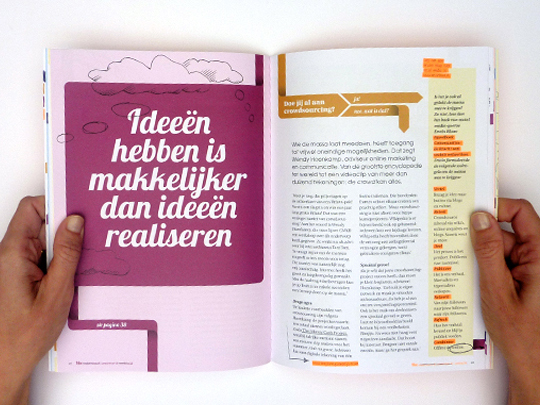 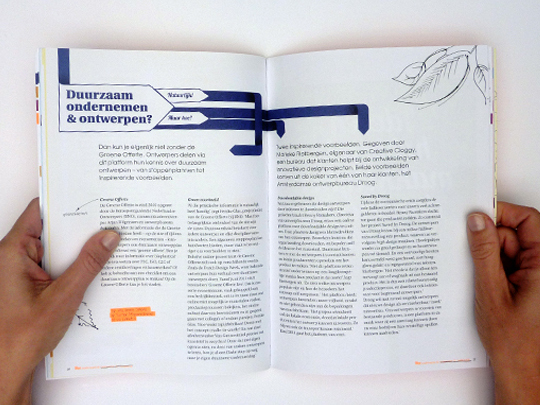 Together with Schrijf-Schrijf I created a magazine filled with tips and tricks for entrepreneurs in the creative industry. 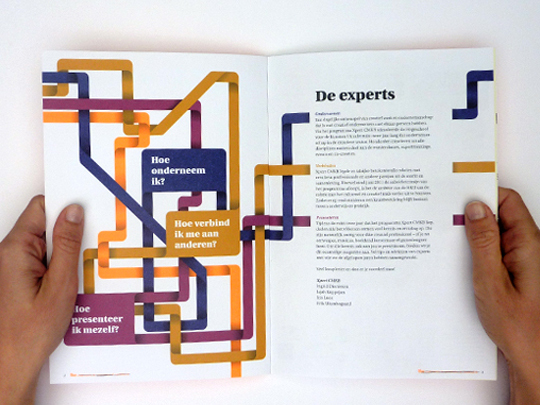 Through a playful tube structure the reader is guided through three themes: ‘How do I do business”, “How do I connect with others”, and “How do I present myself”. 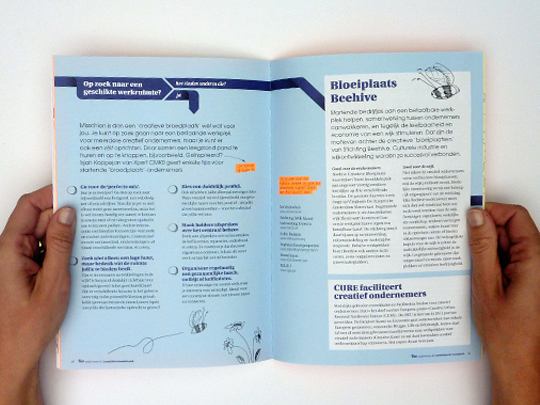 On an extra level side notes and additional information are added with handwriting, highlighter (flour ink) and doodles.